Session times and dates subject to change. Visit the Session Leader Green Room for tips and tricks for making your 2017 session shine. The list of session descriptions below is growing daily based the description review process and the work or our administrative team. Please submit any questions to coltt@cu.edu. Abstract: In the last 5 years, there has been a rise in what we might call “large-scale digital learning experiments.” These take the form of centralized courses, vendor-created courseware, online homework systems, MOOCs, and free-range learning platforms. If we mine the research, successes, and failures coming out of these experiments, what can we discover about designing better digital learning experiences and technology for learning? Bio: Dr. Andersen has spent 14 years teaching at the college level, 16 years writing curriculum, and 6 years developing digital products for learning. She built iPad games to teach algebra, launched the Canvas Network MOOC platform, built adaptive learning platforms used by McGraw Hill, and worked as the Director of Learning Design for WGU (a fully-online CBE institution). Maria is a professor, a software developer, a consultant, a writer, a speaker, and a learning futurist. She holds degrees in Math, Chemistry, Biology, Business Administration, and Higher Education Leadership. Bethann Bierer | Project-Based Learning Online: Yes, There Is a Group Project! Abstract: Project-based learning is a High-Impact Practice that supports student mastery of material and helps develop real-world skills. Using projects in the online environment requires thoughtful consideration beyond what works in the usual f2f environment. Participants will be encouraged to share their favorite group activities as well as ideas for discussion.​f2f environment. Participants will be encouraged to share their favorite group activities as well as ideas for discussion. Bio: Bethann Bierer is a Licensed Clinical Psychologist and Senior Instructor in the Psychology Department at UCD. She has been teaching and developing online courses for 10 years and is always striving to make her courses more relevant, active and appropriate for her students. She has been active in the development of the Psychology Department's online course offerings, both as a direct creator of courses and through mentoring other faculty members. Participants will interact with and in the robotics as classroom participants. Participants will evaluate vocabulary in context and generate answers together with the robots. Bio: Jean Bouchard is director of the innovative Modified Foreign Language Program (MFLP) at UCB. Her hybrid blended model launched in 2014 to “bring back” students for their diplomas. She added robots to her class in 2016. Jean’s retention/graduation efforts for at-risk students date back to 2009. Abstract: Imagine a classroom full of students prepared to engage in rich discussion and real-world scenarios. What could you accomplish during class-time if well-prepared students were the norm? Learn how a team of Colorado State University faculty are using adaptive learning platforms to prepare students to participate in highly engaging, student-centered, in-class activities. CSU faculty have partnered with Instructional Designers from The Institute for Learning and Teaching (TILT) as part of the Accelerating Adaptive Learning Courseware at Public Research Universities Grant offered by the Association of Public and Land-grant Universities (APLU). Bio: Tonya Buchan, Stan Kruse and Jennifer Todd are part of the Instructional Design team at The Institute for Learning and Teaching (TILT) at Colorado State University. Tonya and Stan are Co-program Managers for the APLU Accelerating Adoption of Adaptive Courseware grant and are collaborating with faculty to incorporate adaptive platforms so that 15-20% of general education enrollment use adaptive courseware by December 2019. Abstract: Take your creativity to new places. Discover Adobe’s family of mobile apps that capture inspiration around you, provide tools to edit photos, make videos, create layouts for print and web, and much more. Learn how you can sync all your apps and assets with your Creative Cloud desktop applications so you are not limited to doing great work only in front of your desktop computer. Bio: As a solutions consultant specializing in digital media, Donna works with educational institutions from K12 through higher ed to help them meet their digital strategy goals through digital workflows using Creative, Document and Marketing Cloud applications and services. Before joining Adobe, Donna consulted for over 20 years in the corporate, government and education fields to enhance the learning process across creative applications. Abstract: Creating digital content that stands out among millions of content pieces by others who are telling their story and trying to convey their message can take more skill and time than an individual has right now. This is a challenge for many of us. Using features from Adobe Spark, easily create beautiful social graphics, web stories, and animated videos without a design background or digital media experience. Colleen Catalano | Lisha Bustos | Online Team-Based Learning: An Oxymoron? Abstract: Team-Based Learning (or TBL) is a structured, collaborative form of small group learning designed around units, or "modules," of instruction. These modules are taught in a three-step cycle: pre-work, in-class readiness assurance testing (IRAT and tRAT), and application exercise(s). This session will explore the successes and challenges of implementing TBL in an online Interprofessional Education (IPE) course. With the implementation of TBL, students are able to focus on interprofessional, collaborative learning, and the use of these practices increases student engagement and satisfaction. Participants will be able to create an action plan on how they can convert a learning session into an online TBL module using online best practices. Bio: Colleen Catalano, PharmD, BCGP, FASCP is faculty at the University of Colorado Skaggs School of Pharmacy and Pharmaceutical Sciences. She received her bachelor of science in Biology from University of California at Davis, then a bachelor in Pharmacy and doctor of pharmacy degrees from University of Colorado. Colleen is involved in the implementation and enhancement of online courses and is a preceptor for student pharmacists. Her interest areas include the scholarship of teaching and learning, curricular development and assessment, and interprofessional education and practice. Lisha Bustos, MA, currently works as the lead Instructional Designer for the Office of Education at the School of Pharmacy, CU Denver. She provides pedagogical training and technology aid for faculty. After receiving her MA in Education from Adams State in 2010 she taught middle school humanities and college prep courses at Adams State. Abstract: Join us for an introductory-level workshop​ intensive on how to create immersive 360 video. During this exciting session you will learn the entire 360 video workflow and have access to a variety of 360 video cameras. Participants will shoot and edit a 360 video project of their own, which they will be able to view with a Google Cardboard headset and their smartphones. No previous experience using 360 video cameras or Google Cardboard is required. However, it is strongly suggested that all participants bring a smart phone. Those interested in the post-production workflow must bring their own computer with Adobe Premiere Pro CC 2016 (or later). Bio: Pat Clark is an award-winning filmmaker and visual artist. He received a BFA from the University of Nebraska-Lincoln in Film and New Media, an MA in Television, Film and New Media from San Diego State University and an MFA with an emphasis in multimedia from San Diego State University. While his narrative and documentary work explores a wide range of subjects, his films often present focused views of larger events. His video installation work focuses on human memory and the manner in which we collect, recall and assign value to our memories. His video work has screened at festivals internationally. More information can found at his website, patclarkmedia.com. Abstract: Social media has fundamentally change our culture. For young people today, it is an essential vehicle, fueled by mobility, that touches every aspect of their lives and fosters an expectation of immediacy in all their interactions. For higher education, social technologies have transformed the communication landscape. In fact, 90% of higher education institutions agreed that social media is a much more important part of their communications and marketing efforts than three years ago. From the lecture hall to the football stadium, its reach extends past the boundaries of the campus itself, pulling admissions candidates into the school community and keeping alumni engaged with their alma mater long after graduation. To build and sustain a truly social campus, higher education institutions are moving away from the dedicated social media team to unite across the organization—integrating social media into their broader digital ecosystem. This cross-institution approach is enhancing the student experience, attracting and retaining students and top talent, and creating efficiencies in all departments. Join our session to hear from organizations that have transformed to become a social campus. Bio: Phil Chatterton (Industry Principal, Higher Education, Hootsuite) has over 16 years of experience working in education and innovative technology. Phil has a passion for helping education institutions solve complex business challenges through the marriage of core academic principles, digital strategy and social technologies. Phil works to build the Higher Education strategy for Hootsuite by working with global education institutions, thought leaders and leading technology providers in order to build out a strategic digital approach to social in education: the social campus. Hootsuite is the most widely used social media management platform. Our battle-tested technology, extensive ecosystem, and social DNA help Higher Education institutions drive enrollment, boost student engagement, and raise funds on social media through a scalable social campus platform. Abstract: It's one thing to develop a new Space Minor--open to all undergraduates at CU Boulder, but how do you get them all fired up about it? Creating a welcoming, cross-campus introduction to space studies that is innovative and scalable and would be ready to launch by Spring 2017 was the design challenge set forth for OIT's Academic Technology Design Team. Go behind the scenes with "Pathway to Space," a highly interactive and engaging course that flips the large lecture and transforms the classroom into the “CU Space Show.” We’ll share our design process and the most innovative aspects of our course design including student skits, a cardboard “transporter” device, foam comment rockets to capture aha moments, and other theatrical elements to foster engagement. We will also share how we coordinated all of the moving parts in time for a successful lift off. Abstract: The online environment can pose unique challenges of isolation and disconnect for students and faculty alike. One of the most important ways to ensure satisfaction is through an engaging, interactive, and supportive environment. CSU-Global developed a three-phase faculty application/onboarding process that focuses on culture, credentialing, and specialized training by colleagues in technology and teaching methods that work best in CSU-Global’s 100% online learning environment. Once hired, faculty continue to be fully and consistently supported with regular peer mentor interactions. And, as part of our mission to employ, develop, and retain high quality faculty, training and professional development opportunities are provided to strengthen instructional quality and to cultivate a community of faculty who are recognized as experts in the field of online education. Bio: Dr. Greg Grossman is an instructor and lead faculty member for the organizational leadership program at CSU-Global where he instructs students in practicum and internship courses. He also serves as a faculty mentor for the faculty training and development team, and is a member of the career center and Internship Advisory Board at CSU-Global. Abstract: Slack is a communication tool developed to enhance team productivity. How might it work in undergraduate, graduate, and distance learning engineering courses? Tens of thousands of messages later, the presenter and his students have created an inclusive learning community that catalyzes student teaching and learning with a simple, modern and integrated solution. Come learn how to leverage the power of Slack—we’ll show you how to get started, how to integrate the tool into your course, and how to apply best practices to build community and make learning happen! Bio: Alex Fosdick is a Instructor in the Electrical Engineering Department, earning his BS/MS at CU Boulder and Specialized in Embedded Systems. He has spent 7+ years in Industry and 3+ in STEM Education at undergraduate and graduate level. Alex has introduced numerous new courses for both on campus, distance professional and Coursera over the last two years. His passion involves bringing state-of-the art and out of the box thinking to education! Abstract: UMBC’s Check My Activity (CMA) feedback tool attempts to solve the problem of scaling student responsibility for learning by allowing them to compare their own Learning Management System (LMS) activity to an anonymous summary of course peers. If instructors use the LMS grade book, students can also compare their own activity with peers earning the same, higher or lower grade on any assignment. Why might they want to do so? Since 2007, UMBC students earning a D or F have used our LMS about 40% less than students earning a C or higher. Basically, the CMA complements UMBC’s robust LMS adoption by nudging students toward self-regulated learning that can help scale student success. For a brief demo, see: http://tinyurl.com/umbccmademo. Bio: John Fritz is Assoc. Vice President of Instructional Technology at the University of Maryland, Baltimore County. In addition to responsibilities for in-class and online educational technologies, he has also helped lead UMBC’s national reputation for effective practice in the use of learning analytics (doit.umbc.edu/analytics). Abstract: Students are always on their phones (in case you hadn't noticed). Instructional Designers at Colorado State University, in conjunction with multi-disciplinary faculty, have taken advantage of student's 'phone facility' by creating mobile apps for academic use. Chris Geanious will present a workflow for creating cross-platform mobile apps and share how he integrated apps into the undergraduate classroom and field experiences. Participants will have the opportunity to download and demo apps currently in use at CSU. Bio: Chris Geanious has been an Instructional Designer at The Institute for Learning and Teaching at CSU for the last five years. Chris has worked closely with faculty on the design and redesign of undergraduate courses for the past twenty years. Abstract: Academic integrity is often cast as a moral issue of right and wrong. Such a characterization leads to misguided efforts of rigid enforcement rather than using approaches to engender alignment with good scholarly practices. This general session workshop will describe and contrast best practice approaches to defining and upholding academic integrity for students in an online modality. Topics include the state of academic integrity in online higher education, discussion of a typography of academic integrity issues, best practice approaches to setting and enforcing integrity expectations with students using a combination of ethical models, and institutional learning goals and objectives. Bio: Doug Gilbert offers a multi-perspective understanding of academic integrity based on his education, professional practice, and academic experience. In addition to a terminal degree in business administration with an emphasis in leadership, he is a law school graduate and practitioner admitted to the practice of law in Colorado and Arizona. His teaching experience has involved designing and offering courses in ethics, business law, and critical thinking. Most recently he was one of the designers of a faculty training workshop offered to all School of Business faculty at the University of Phoenix about upholding academic integrity in the classroom. Brad Grabham | Rebecca Kallemeyn | Video and Quizzing in One Place? Tell Me More! Abstract: What if we told you there’s a simple way to combine video content and interactive quizzing elements within one interface to actively support your learning objectives? As courses employ flipped teaching methods and online video content for instruction and assessment, campuses increasingly need to create interactive video lessons and gather data regarding student activity and engagement. 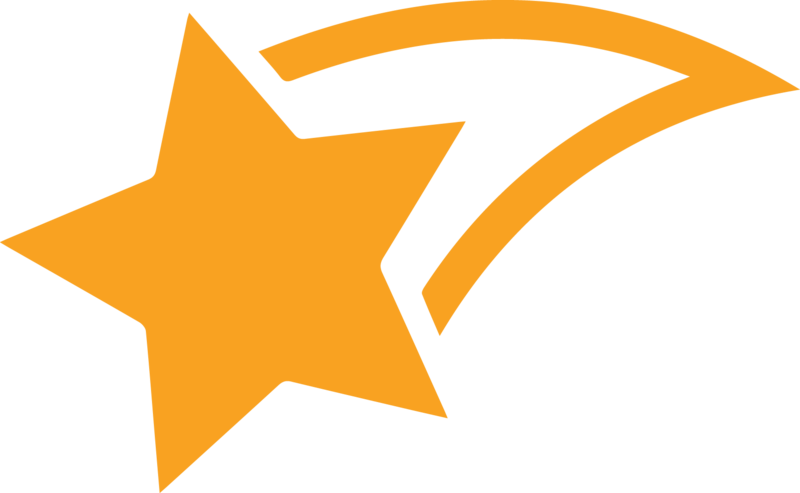 Please join this open discussion of interactive video quizzing tools and results from CU Boulder’s PlayPosit pilot. PlayPosit is an interactive video tool that allows instructors to place custom lesson elements (quiz questions, text prompts, etc.) over video content. 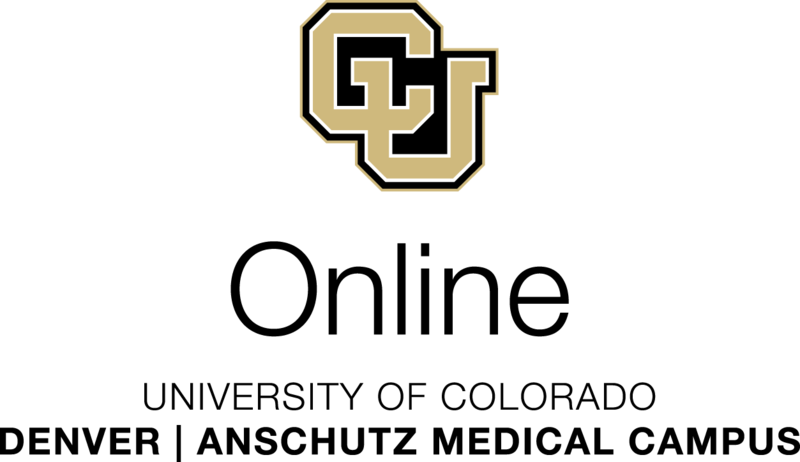 Bio: Rebecca Kallemeyn and Brad Grabham work for CU Boulder’s Office of Information Technology (OIT), where they serve as a Learning eXperience Designers (LXD) within OIT’s Academic Technology Design Team. The Academic Technology Design Team (ATDT) focuses on improving the experience of residential students on the CU Boulder campus. Laura Hamrick | Caption Everything! Abstract: Closed captioning allows students who are deaf or hard of hearing to access video content in their courses. But does the usefulness of captions stop there? In this session, we will discuss the pedagogical benefits of closed captioning as reported by students with and without disabilities from across the country. You'll learn how to use free online tools and tutorials to caption video content, as well as how these tools can be integrated into your department or course workflow. Come learn how and why to Caption Everything! Bio: Laura Hamrick currently works at CU Boulder as a Captioning and Accessibility Coordinator to improve the accessibility of digital content on campus. Prior to joining the Office of Information Technology at CU, she spent three semesters teaching technology, computational thinking, and design skills to students in grades 6-12. Abstract: Students who use metacognitive strategies to monitor and regulate their thinking and learning have the opportunity to be more engaged, successful learners. Beyond the classroom, they are also better able to plan for professional opportunities—and for life. The online learning environment offers instructors a unique setting in which to teach students how to think metacognitively. The tools utiliized in most online or hybrid courses lend themselves to targeted metacognitive exercises. This interactive presentation will briefly examine the theoretical frameworks for understanding metacognitive knowledge. Participants will then discuss and design practical strategies for using the tools available in their own online courses to compel students to analyze their learning processes for greater academic success. Bio: Dr. Adrianne Hanson is the Chair of Applied Linguistics in the College of Liberal Arts at Ashford University. Passionate about online learning since 2001, she isan instructor, administrator, and course designer at institutions including Jones International University, Colorado Community Colleges Online, and Buena Vista University. Abstract: This panel features the varied experiences of OER-involved faculty members, with ample time for input from participants for questions, or sharing of their own OER involvement. Bio: Cynthia Hashert, Director (Interim), Auraria Library. Session Moderator. As Interim Director for Auraria Library, Cindy is committed to the Library’s strategic goal of integrating open and library resources and services into the teaching and learning of students. Thus, partnering in the exploration, discovery, adoption/adaption, and creation of Open Educational Resources is a natural fit for librarians’ evolving roles as connectors, collaborators, conveners, and creators. Dr. Karen Danielson, Associate Professor of Art History, Community College of Denver. Panelist. Karen’s interest with OER dates to her PhD studies in curriculum and instruction. She began writing and compiling OER for Art courses after her course-level assessment demonstrated a need to affordably engage students with the arts. She has completed an OER training program, and currently leads an OER Faculty Learning Community. Dr. Jordan Hill, Director of the Social Justice Program, and faculty in the Masters of Humanities/Masters of Social Science (MHMSS) Program, University of Colorado Denver. Panelist. Jordan is an original author of the “American YAWP,” an innovative OER co-authored in a collaborative fashion by some of the most renowned 21st century American historians. Jordan is also the Managing Editor of the groundbreaking Open Access social justice site, www.NortheastDenverChange.org, www.ColoradoPublicHumanities.org, and the Editorial Advisor of the peer-reviewed journal, www.ColoradoCriticalReview.com. Brad Hinson, Assistant Dean, University of Colorado Denver. Panelist. Brad is a career educator and technologist with 22 years of experience teaching, learning and tinkering with digital pedagogy and digital media. Brad has worked within the OER community for over a decade and received the WCET for Outstanding Work (WOW) award in 2013 for his leadership of OER initiatives. Today he serves as the Assistant Dean of Information & Academic Technology in the CU Denver School of Education & Human Development. Abstract: Explore remix culture, platforms, and experiments in a mashup of digital media, learning platforms, and open pedagogy. Leveraging the DS106 ecosystem as a framework, our digital storytelling course explores digital identity, social media, copyright, design, and media creation. We designed the course as a mashup of multiple learning platforms combining Canvas, WordPress, RSS, Product Hunt, student blogs, Twitter, Hypothes.is and more to create a constructive learning experience that challenges students to create, share, and combine digital media in a social learning and pick-your-pathway adventure using audio, video, imagery, design, code, social media, and interactive fiction. Our challenge: keeping the cacophony of tools under control so that students are engaged but not overwhelmed. To do so, we employed a series of integrations and considerations in the design and architecture of the course. In this session, we will introduce the DS106 ecosystem; how our course dovetails within it; and demonstrate course architecture, underlying tools, successes, and opportunities for improvement. Rosanna Miiller-Salas is an Instructional Designer w the CU Denver School of Education & Human Development (SEHD). Aaron Aldrich is a graduate student in the SEHD Information & Learning Technologies (ILT) program, and serves as a TechTA (Graduate Assistant) in the SEHD. Ryan Hively | Improve Student Retention and Success with Day-One Access to Course Materials! Abstract: Research shows that more and more students defer the purchase of required course materials until later in the semester or don't purchase them at all. This is mostly due to cost and negatively impacts student grades. To combat this growing problem, colleges and universities across the country have begun implementing inclusive access programs. These programs ensure day-one access to required learning materials, save students money, and assure instructors that all students have their needed learning tools. This session will share best practices for the implementation and sustainability of inclusive-access programs and resulting student success. Bio: Ryan is a former teacher with educational software and textbook distribution background experience. While at VitalSource, Ryan is focused on building and maintaining partnerships at higher education institutions throughout the Western US. The publishing industry and digital education are evolving and will continue to alter the format in which educators teach and students learn. Ryan's passion is in mastering today's technology and communicating the complexities of this changing industry in simple terms to educators and students. Ryan earned a Social Science Education degree from Olivet Nazarene University in Bourbonnais, IL and currently lives in Phoenix, AZ. How to better connect with your students beyond words, numbers and sentences. Improving positive levels of student feedback, by creating an atmosphere for greater buy-in by your class. Abstract: Course assessments may morph into some other life-form, but some form of assessment will always be in the pipeline. Why not use some proven (they work for me), above the board, legal, moral and life enhancing methods to possibly boost those scores? Good teaching is the bottom line, yes, but… there are other simple methods that might be considered. Join in on this short talk concerning options to put you more in the driver’s seat (but never at the expense of a solid teaching and learning experience). This talk will courage faculty to share their own acceptable strategies for going down this road. Please be ready to share your own experiences with us. Bio: Professor Homchick has been doing the online and classroom teaching thing for almost 30 years at CU Denver. It’s been hits and misses along the way, but he learned some things. He kind of seems to know what works, and what has been flat out failure. Kent teaches in the Film and Television Department in the College of Arts and Media, on the CU Denver campus. He is a repeat presenter at past COLTT adventures. Ed Johnsen | Track and Achieve: University-Wide LMS-Analytics, Accessibility, and Automation! Abstract: Using numerous examples and pretty graphs, this session will demonstrate how to access the breadth of data available through the Brightspace (D2L) Application API and use it to help your educators and learners. LMS analytics and automation can free up educators and content development teams from mundane tasks such as tracking the impact of a university-wide initiative, updating the accessibility of content, or updating outdated policy links. At Regis, we leverage the intersection between common sense and our LMS, getting research grade participation and UI data while letting a computer handle the busy work. Bio: Physicist by degree, Education Researcher by experience, and self-taught full-stack developer and data wrangler; Ed Johnsen is the Education Technologist you've been waiting for. 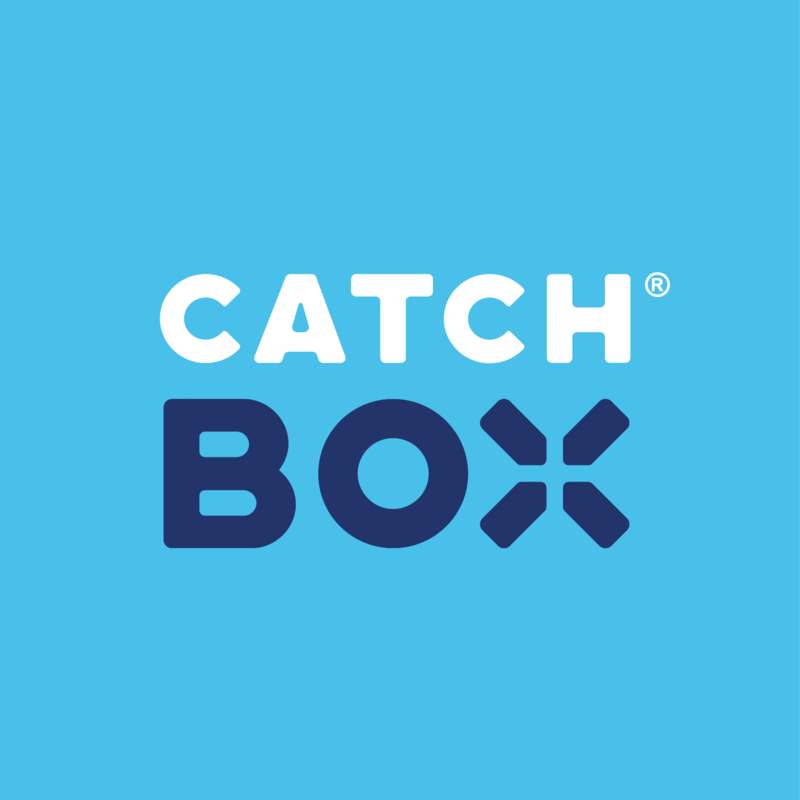 Abstract: Get involved in the exciting new pilot project and pitch-off event, Prospective Innovations in Teaching and Learning Xperiences (PitchLX). Startup and business success is increasingly predicated on the ability to effectively pitch a new idea, product, or service to potential stakeholders. Shouldn’t a similar landscape exist within systems of education to breed innovative thinking and cultivate ideas that meet the ever-changing expectations of students? Join the MSU Denver innovation engineers in exploring the vision of PitchLX and help shape the future of education. Bio: Taylor Kendal holds a BS in Technical Communications and an MA in Information Learning Technologies from CU Denver. He brings a unique blend of experiences in education and instructional design from his work with the Library of Congress and MSU Denver; work which led him to a lifelong love for imaginative innovation and daring design. Lively debate on current learning topics. Bio: Deborah works across the CU System in the areas of teaching and learning with technology, online education, access to higher education, and student success. She has been instrumental in furthering CU campuses' implementation of digital and online education solutions, including MOOCs. She serves as the director of the Colorado Learning and Teaching with Technology (COLTT) Conference and oversees state authorization compliance. Abstract: It’s time that we stop thinking of accessibility and Universal Design as optional or an afterthought in university curriculum for students in technology and design fields, particularly web design, and work toward sound integration into course design. We’ll begin discussing the current state of affairs regarding the accessibility skills of individuals entering tech fields from college as well as the experience of technology companies who have tried to hire professionals with accessibility know-how. We will examine a case study of a course the speakers have taught in accessible web design and look at resources and sample curriculum to support integrating accessibility and UD into courses. Finally, the speakers would like to hear feedback from the audience on their ideas for promoting the inclusion of UD and accessibility in course content. Bio: Mr. Kramer has worked in assistive technology, disability, information systems and accessible media for more than 25 years. From 1997-2012 he worked with Disability Services at CU-Boulder, establishing the Assistive Technology Lab, which serves students with disabilities needing specialized access. He is founder and coordinator for the Accessing Higher Ground Conference: Accessible Media, Web & Technology, and teaches courses on Universal Design at CU-Boulder. Mr. Kramer has a master’s degree from CU-Boulder and is working on his PhD at the University of Denver. Abstract: Alternate (aka:"Alt") media is the process of converting readings, handouts, powerpoints, and other instructional materials into accessible formats (i.e. audio, tactile, graphics) for students with disabilities. However, alternate media has benefits for students without disabilities as well. In this interactive session, attendees will learn how to quickly, easily, and inexpensively convert their instructional materials into audio files, tactile diagrams, info graphics, and other accessible formats. The presenters will also share practical results from a quasi-experimental study that investigated the use of alternate media across undergraduate and graduate-level courses. This presentation will be framed within the context of universal design for learning. Bio: Scott Kupferman, Ph.D. is an Assistant Professor in the UCCS Department of Teaching and Learning and Coordinator of the Special Education Program. He is also the Director of the National Collaborative for Disability and Technology, which is a network of 200+ assistive technology researchers. His scholarly efforts have led to several honors and awards, including selection as a National Council on Disability delegate and recipient of the U.S. Department of Education's Commissioner's Award for Excellence. Leyna Bencomo is the Assistive Technology Specialist at the University of Colorado Colorado Springs. Leyna has revived from dormancy and has chaired the Assistive Technologists In Higher Education Society In Colorado And Wyoming. Her current position at UCCS allows her to work directly with students and faculty to coordinate and help produce alternative media for classroom use. Abstract: The conveniences that make online instruction attractive also create new opportunities for academic dishonesty. Despite this, pedagogy and technology may be deployed to promote academic integrity and level the playing field for online students. Cheating often results from a combination of opportunity, culture, and desperation. Cheating not only diminishes learning, but also, devalues degrees and undermines institutional missions. However, course design and proctoring technology can combine to limit motivations and opportunities for academic dishonesty while improving learning outcomes and increasing the value of online degrees. 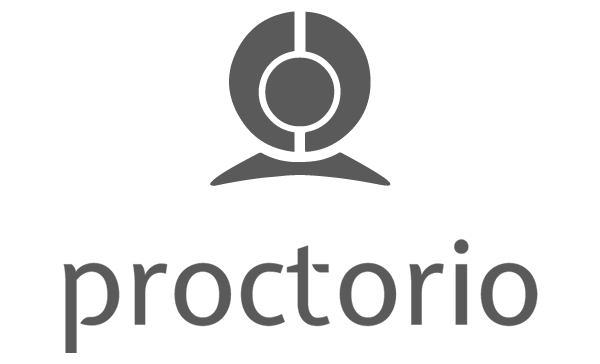 Bio: Jon Lacivita is Vice President of Business Development for Proctorio. As a leader in technology, education, and business, Jon has a passion for helping others become more productive and successful by finding new paths around old obstacles. His experience as a public speaker and sales team leader has helped Jon emerge as an empathetic dot connector within educational technology and beyond. Judson S. Garrett is Director of Education for Proctorio. Having taught at the secondary and post-secondary levels, he has over a decade's worth of experience designing and implementing curricula for classroom, digital, and hybrid courses. Judson is adept at helping educators improve learning outcomes through increased participation, collaborative learning, and an emphasis on questions over answers. Participants can evaluate relevant activities for their own classroom practice. Participants will learn and practice new software and phone apps. Participants will learn their current reading rate. Abstract: This session offers practical techniques for instructors to help students improve their reading skills in three key areas: speed, comprehension, and recall. Proven techniques such as previewing, visualization, the traits of good readers, clustering, and using a pacer will be shared with participants. The technology component will center on interaction with AceReader®, an online reading engagement experience. Other platforms such as phone apps will be addressed, including QuickReader and Acceleread. Participants will leave the session with a sample syllabus, some new activities, their current reading rate, and a checklist for better reading. We encourage participants to bring their Wi-Fi enabled technology to the session. Bio: Prof. Constance A. Leonard teaches English for Academic Purposes, Reading Enhancement and Learning Strategies courses at the U.S. Air Force Academy. She has held administrative and training positions in the fields of English language teaching, teacher training and development in the United Arab Emirates, Egypt, Yemen, Greece, and Cambodia. Mr. Bernie Marasco, AceReader, Inc. Education and software employment specialist. He has been working closely with educators and reading specialist for the past 15 years on the implementation and deployment of reading improvement solutions provided by the AceReader platform. Dr. Gary Mills is a member of the United States Air Force Academy’s Reading Enhancement faculty. He is also assigned to the Department of English and Fine Arts as a composition and war literature instructor. Dr. Mills has taught at the Academy for 11 years. Abstract: In 2015, the William A. Wise Law Library converted a traditional computer lab into a collaborative classroom using VIA Collage, a hardware/software solution that enables groups of students to work on projects on laptops or mobile devices and share those results on the instructor’s classroom display. The law library faculty will discuss why and how they implemented VIA Collage to support their teaching and learning goals and demo the technology. Participants will be able to test VIA Collage on their Apple, Android, or Windows devices and use it in groups to discuss two questions about classroom collaborative technology. The session will be held in the Wise Law Library Computer Lab located in the basement level of the law library in the Wolf Law Building. Seating is limited to 36 persons. Bio: Professor Robert Linz is the Associate Director and Head of Public Services at the William A. Wise Law Library and a Senior Instructor. He teaches legal research courses at the law school, including classes that require group work. He is also the chair of the law school Technology Committee, has served as director of law school technology and has been involved in implementing and overseeing classroom technology projects. He was a project lead in renovating the computer lab to implement this technology and has taught three classes in this facility. Abstract: Engagement can mean a lot of things; students can engage with their instructor, their peers, and the course content. This session will highlight some of the reasons this is so important and some methods for driving engagement in Canvas. Attendees will be expected to participate and share their successes and challenges with student engagement. Bio: David Lyons has been working in academia since 2006 and has served as Academic Technologist, Faculty Trainer, Adjunct Instructor, and more at Community Colleges and Universities. 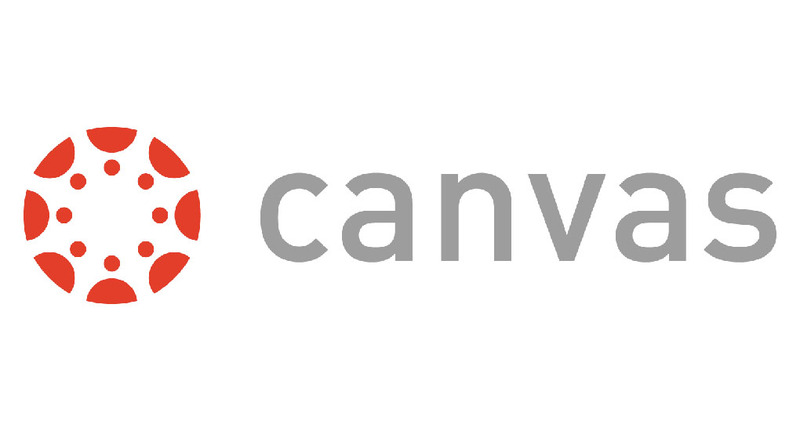 In 2015 David moved to Instructure as a Senior Solutions Engineer to help bring Canvas to as many institutions as he can. Abstract: Panelists will discuss their how badges support self-directed and competency-based learning within their respective postsecondary systems. They will focus the conversation on early adopters: promoting innovation, managing constraints and limited resources, and making incremental progress. Digital badges are gaining recognition as credentials in the workforce similar to degrees and certificates traditionally offered by post-secondary institutions.​ Colleges can also incorporate badging practices into competency-based education. As micro-credentials, badges may be issued by employers and professional organizations, and accessed and used flexibly by learners. Bio: Mike Macklin - Michael Paul Macklin is the Director of Noncredit and Professional Programs at Colorado State University (CSU) Online (Fort Collins, CO), CSU’s division of continuing education. Mr. Macklin directs digital badge initiatives and programming at CSU. His primary focuses are professional development, noncredit programming, and digital badge software development and management. Through Mr. Macklin’s work with digital badges, he is leveraging the power of outreach extension education—the core of the land-grant university model. He understands that digital badges are key in sustaining and expanding the land-grant system as this initiative allows for unprecedented access to affordable and credible information. Brenda Perea - Brenda Perea is the Instructional Design Project Manager leading the development of a CCCS-wide system for digital badging, which entails facilitating collaboration between a consortium of colleges and the workforce to identify and target workforce skills not apparent from courses, certificates, and degrees. Brenda is the 2017 workforce track chair for the BadgeSummit and the OLC Innovate international Conference. Brenda recognize internationally as a digital badge expert and is often asked to participate in working groups to shape the national conversation on post-secondary workforce focused digital badging. Brent G. Wilson – Professor of Information and Learning Technologies at the University of Colorado Denver. Brent’s research responds to foundational questions around instructional design: What is good instruction and how can be help make it happen? How can we support students and teachers using technology in good ways to further learning and development? How can we advance the profession of instructional design and technology? Len Scrogan - A blogger, TEDx speaker, SXSW speaker, and recognized ed-tech author and conference speaker, Len co-authored the American Optometric Association’s seminal report on 3D/VR, "See Well, Learn Well", as well as the 2016 EdTechNext report "New Dimensions in Learning." Len is the online community manager for LinkedIn’s Stereo 3D/VR Media and Technology online community of 9,500+ members. Len is also a board member for the ISTE 3D and VR Network, and an expert panelist on the 2015, 2016, 2017 international Horizon reports. Amanda McAndrew | Caroline Sinkinson | Rebecca Kallameyn | OERs: Free and Good? Abstract: Since the 80s, technology has been said to increase access to knowledge. Yet, conventional textbooks are still a mainstay in higher education. In 2014, 65% of students decided against buying a required textbook because of cost (US PIRG Report, 2014). In other words, 65% of students are disadvantaged from the outset. While we can’t do much about tuition, we can reduce the costs of the materials we assign. There are high quality, low-cost alternatives to expensive textbooks. Unlike traditional material under copyright, Open Educational Resources can be freely adapted to suit a particular course or pedagogical need. In this session, we’ll define OERs, show you how to find them, and discuss how to evaluate them. Join us for a new perspective on course materials. Bio: Rebecca Kallemeyn is a Learning Experience Designer and Amanda McAndrew is a Teaching and Learning Consultant on the CU Boulder Office of Information Technology’s Academic Technology Design Team. Caroline Sinkinson is the Head of Teaching and Learning Unit and Interim Director, Arts and Humanities in CU Boulder’s Norlin Libraries. Understand how crowdsourcing can be used to increase student engagement and enhance pedagogy. Learn new and innovative mobile applications within a think-table-share peer-facilitated learning environment. Apply an “Appy” hour framework, rubric, and other helpful materials to your own courses. Abstract: Grab your web-enabled mobile device and join us for COLTT’s very own crowdsourced “appy” hour! This session models how to crowdsource content through a participatory think-table-share-rotate-repeat discussion format. Session attendees will leave this session with at least a handful of new ideas and exposure to a variety of go-to apps used by session leaders and fellow participants. Audience members will also leave with a stronger understanding of how to effectively crowdsource content in their classroom. To provide cognitive closure, session leaders will facilitate a discussion around the key takeaways related to the best applications. Session leaders will also provide specific examples of crowdsourced learning activities and assignments (including rubrics) from their university courses. Bio: Pat McGuire is an associate professor at the University of Colorado Colorado Springs (UCCS) in the Department of Teaching and Learning (math and technology education focus) and co-directs the UCCSTeach Program. Pat currently serves on the national advisory council for ASSISTments, a free web-based intelligent tutoring platform for K-12 students. Scott Kupferman is an assistant professor at the University of Colorado Colorado Springs (UCCS) in the Department of Teaching and Learning and co-coordinator of the UCCS Special Education Program. His areas of expertise include assistive technology, accessibility, and universal design for learning within K-12 and postsecondary education settings. Abstract: We often focus on teaching students technology skills, when in fact they need to be able to teach themselves. This session explores the concept of teaching technological adaptability: the ability to learn technology quickly or deal with technology issues efficiently and with confidence. Teaching this important skill requires an instructor to play a different role in the classroom--one of a guide, rather than an expert, to develop appropriate exercises, teach sub-skills, and encourage self-instruction. The result? Students who learn how to approach a new technology with confidence. Bio: Melonie (Lonie) McMichael, a senior instructor at UCCS , graduated from Texas Tech University in 2010 with a PhD in Technical Communication. With a decade’s experience as a technical writer in high tech and another decade teaching technical writing, Dr. McMichael brings both scholarship and industry knowledge to the classroom. Abstract: What is the experience of students in your online or face-to-face course? Creating quality learner experience is often viewed through the lens of “presence” - social presence, cognitive presence, and teaching presence. What do these mean for your instruction? What is the practical application in your online course? Join us for an interactive, brainstorming session which takes the theory of “presence” and translates it into actionable takeaways that you can easily implement. We’ll use both research and your own experiences as case studies, and collaboratively put together a plan to harness the power of presence and create an excellent learner experience. Bio: Sarah North - Sarah is an instructional designer at CU Online, with specific interests in creating motivating and engaging online learning environments, effective virtual group work, and designing learning experiences which foster student self-regulation. Sarah is currently completing her PhD in education with a focus on learning technologies. Abstract: Learn how innovative learning platforms, enhanced digital learning tools, and high-quality OER content allow students to take control of their education and interact with content in the way that they learn best. Find out how embracing data-driven education can empower instructors to teach proactively, involve students directly in achieving learning outcomes, and affirm the quality of course materials and content. Education can be more accessible, affordable, and engaging for ALL students. Bio: Odigia Founder and CEO, Joshua Moe, brings over 16 years of experience leading technology design and development teams for small, medium & large organizations, including higher-ed. Josh’s energy, vision, and immersion in the edTech industry, makes him an in-demand speaker at conferences across the US. He is a member of the Triad Growth Partners, YEC and the FounderSociety. Kae Novak | Chris Luchs | Build Your Escape Room or Breakout Box! Abstract: What would happen if you gave your students 30 minutes to collaboratively solve the puzzles and escape the room? Join us to brainstorm and build out your educational escape room! 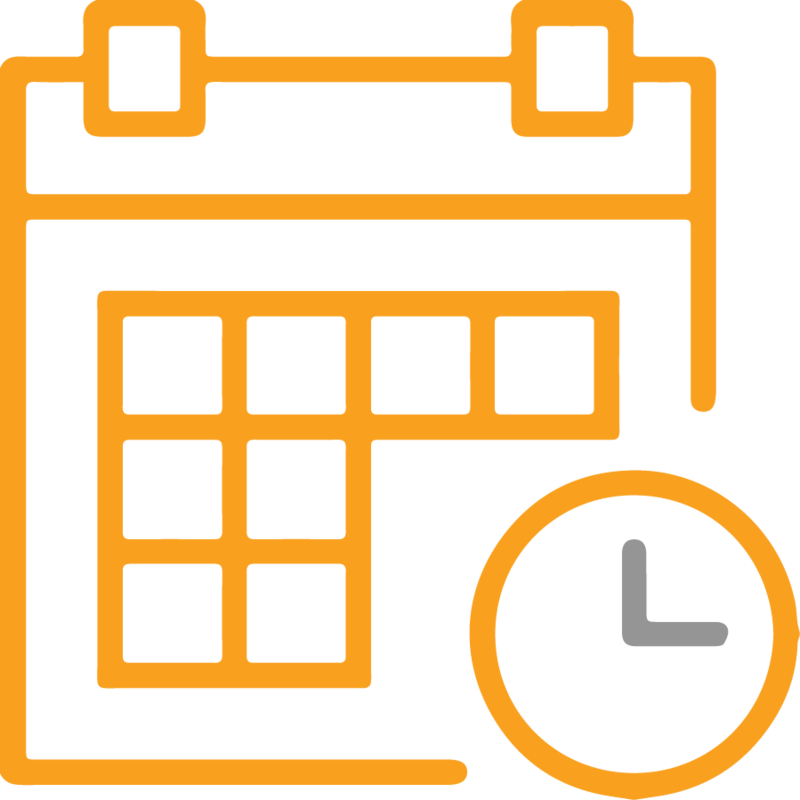 We have design sheets, worksheets for ciphers and codes, and other material from Escape Room training from ISTE, eLCC, and Assess-a-palooza. Escape Rooms have been used in biology, communications, math, and English classes. Bio: Kae Novak is an instructional designer for student engagement and assessment at Front Range College. She has created open design sheets and instructions on how faculty can create Escape Rooms in their classrooms. She has conducted faculty training on Escape Rooms at ISTE, eLCC and Assess-a-palooza. Chris Luchs is the Associate Dean for Career & Technical Education (CTE) at CCCOnline. Constructionism is a hallmark of CTE. This DYI project is the type of boostrapping he encourages in his courses and in his instructors. Abstract: Have you heard of light boards? This is one of the newest DIY peripherals for lecture video capture. This Idea Forge session will focus on how to combine the Khan-style, hand-drawn professor squiggles with a homegrown solution that is coming to a college near you. Participants can choose to either observe or participate in building a full size lightboard. While the full sized model is being assembled, participants will be provided with the materials to construct their own scale model light board that will require them to master similar skills and problem solving that the full sized model will require. Bio: Kae Novak is an instructional designer for online learning at Front Range College. At FRCC she coaches and trains faculty on creating their own video for use in their hybrid and F2F classes for content and also engagement. Chris Luchs is the Associate Dean for Career & Technical Education (CTE) at CCCOnline. Constructionism is a hallmark of CTE. This DYI project is the type of boostrapping he encourages in his instructors. Abstract: Stop by the Open Educational Resources emporium! Sample the OER wares! Test your OER know-how! Fill OER coffers with your insights! Scoop up OER basics from the OER Newbie Boutique; trade experiences and thoughts at the OER Swap; browse the OER Marketplace to see success stories; and peruse the OER Info Bins for OER facts and surprises! Viktoriya Oliynyk | What Does It Take to Make a MOOC? Abstract: Though proclaimed dead by critics years ago, MOOCs are slowly and steadily establishing their niche in higher education. Have you considered teaching one? Do you support faculty who are interested? If the answer is “yes”, this session is for you. Together we will explore strategies and best practices for making successful MOOC. A review of MOOC design best practices and types of programs will be followed by a discussion on production approaches and determining the right fit for your program. You’ll then have a chance to learn lessons and tips from experienced MOOC instructors at CU Boulder. This session will equip you with the tools and knowledge to begin making your own MOOC. Bio: As the Design and Production Manager for Digital Learning Initiatives, Viktoriya works with instructional teams on designing Coursera programs and oversees the production lifecycle of on-demand initiatives led by the Graduate School at CU Boulder. Abstract: Online classes, engineering classes in particular, can seem overwhelming to incoming students and can leave a student feeling isolated. Further, online students oftentimes have life commitments that make synchronous peer collaborations challenging. We'll share a technique to transform the discussion forum assignments from the traditional “initial post and 2 meaningful responses” format to a gradable, virtual study-group forum, where students engage to enhance learning through collaboration and, almost inevitably, participate and benefit well beyond the minimal point requirements. Abstract: Classrooms centered on active student engagement deliver increased student learning gains while reducing the achievement gap. One active pedagogical strategy commonly employed in the classroom is the use of clickers to promote problem-solving skills and application of content to relevant course examples. This session will introduce participants to different types of assessments (formative and summative) and provide hands-on practice creating assessment questions aligned with learning outcomes specific to participants’ own courses. We will focus specifically on creating suitable multiple choice and multiple true-false assessments, which can be readily implemented in classrooms of any size and can be used to measure higher order levels of student thinking. Participants are strongly encouraged to bring at least three student learning objectives and a copy of a past exam to use as a starting point for the workshop. Bio: Debra Pires is an Academic Administrator at the University of California, Los Angeles. She teaches the introductory courses in the Life Sciences Core Curriculum. Her research focuses on creating assessment tools to evaluate how well students understand concepts taught in the introductory courses and how well they retain those concepts during their time at UCLA. Student Learning Outcome (SLO)-centered assessments have become a major component of the introductory curriculum, and workshops with faculty in two departments have begun to help instructors develop rubrics and assessment strategies that are aligned with the goals of the long-term study. Abstract: This session is ideal for faculty who want to provide more active learning with their students. Come ready with questions or feel free to share what works best for you and your students. The goal is to walk away with tangible strategies to assess, engage and empower your students to take an active role in their own learning. Describe the importance of transferring information from short-term to long-term memory. Explain how active learning helps students achieve course objectives. Design an active learning activity. Abstract: Often times, a course's instructional design relies heavily upon the lecture paradigm. This is where content is presented via lecture and students are asked to remember and then retrieve information without engaging with the concepts. This presentation, filtered through Elvis' 1968 song titled, "A Little Less Conversation", will explore why it is important to allow students to engage with what they are learning, how to design active learning activities, and how these activities contribute to students’ abilities to achieve course objectives. Bio: Glenda Robertson, MA, RN is an Instructional Designer for the University of Colorado College of Nursing. She brings 15 years of instructional design experience to her work with faculty as they collaborate on course and curricular design and evaluation. Abstract: Curious about how to leverage your LMS to provide faculty with a robust and consistent experience as they prepare to teach online and continue to refine their skills over time? Faculty at DU’s University College prepare to teach online using the LMS as an ecosystem of support resources. Housing these resources in the LMS provides an opportunity to model best practices for LMS use and provides content through a convenient and familiar interface. University College’s multi-pronged approach includes a self-paced training course, a set of Baseline Faculty Expectations, and an online portal that connects faculty to resources, best practices, and professional development opportunities to support quality course delivery. Join us as we share how these interconnected pieces support and prepare faculty for successful online teaching. Bio: Chelsie Ruge is an Instructional Support Specialist at University College, DU’s College of Professional and Continuing Studies. She supports and provides training for faculty in several technical degree and certificate programs. Her specialty is educational technology. She is currently pursuing her PhD in Curriculum and Instruction at DU. Molly Smith is an Instructional Support Specialist at University College, DU’s College of Professional and Continuing Studies. She earned her BA in Communication and her MBA at DU, and also holds a Master of Education from Colorado State University. She is currently working on her PhD in Curriculum and Instruction. Using video to address the challenges of teaching multiple sections. Understand how the use of mobile engagement tools (not clickers) encourage student participation. Abstract: A faculty panel at the recent Echo360 Active Learning Conference in Dallas addressed the use of video and active learning strategies to improve student outcomes. In this interactive session, we will consider their outcomes using video, mobile devices, engagement tools, plus real-time analytics to “wake up” students with active engagement in the classroom. Come share what you’re doing! Bio: Perry Samson is a Professor in the College of Engineering (Department of Climate and Space Sciences and Engineering) and in the School of Information at the University of Michigan. Prof. Samson has been honored as an "Arthur F. Thurnau Professor" by the University of Michigan for his contributions to undergraduate education and was named “Professor of the Year” in the State of Michigan. In addition to teaching and research Perry is an entrepreneur as a co-founder of The Weather Underground. He also co-founded LectureTools which has been acquired by Echo360 and is a frequent international speaker on issues of data and technology in the classroom. Abstract: Designing and implementing an interdisciplinary online graduate program is tough! Throw in two tracks for students with different educational needs and 30+ faculty from different disciplines--some without online teaching experience, and this process can feel like herding cats! 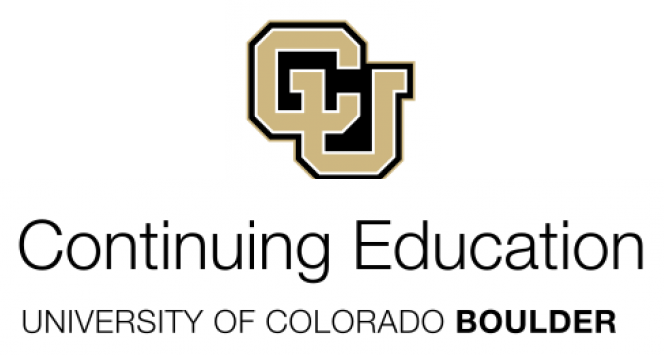 In this session, we share lessons learned from the perspectives of an instructional designer and a faculty member in the CU Denver Master of Science in Palliative Care program. Our session will highlight planning tools and pedagogical approaches to help participants design, develop, and evaluate an equally-distributed curriculum. Participants will be invited to share challenges and successes from their own programs. Bio: Kelly Arora, PhD is Co-Director of the Master of Science in Palliative Care degree/certificate program and affiliate faculty for spiritual care at the University of Colorado School of Medicine. She is the John Wesley Iliff Senior Adjunct Lecturer in Spiritual Care at Iliff School of Theology and has also taught undergraduate and graduate courses at Regis University. Lynée Sanute, MLIS, MA is an instructional designer with the Office of Education at the Skaggs School of Pharmacy and Pharmaceutical Sciences. She provides design and development services for the Palliative Care and Pharmacy programs. In another life, she was an instructional librarian at Adams State and Sonoma State Universities. Abstract: Interested in using VR in your classes? Do you like top 10 lists? This session offers 10 practical takeaways (for beginners or advanced users) for tapping into the immersive world of virtual reality for your F2F or online classes. Bio: A blogger, TEDx speaker, SXSW speaker, and recognized ed-tech author and conference speaker, Len co-authored the American Optometric Association’s seminal report on 3D/VR, "See Well, Learn Well", as well as the 2016 EdTechNext report "New Dimensions in Learning." Len is the online community manager for LinkedIn’s Stereo 3D/VR Media and Technology online community of 9,500+ members. Len is also a board member for the ISTE 3D and VR Network, and an expert panelist on the 2015, 2016, 2017 international Horizon reports. Abstract: Join the Tired-of-Textbooks Workshop for an overview of strategies for locating and evaluating open and affordable learning materials. You’ll have the majority of the session for hands-on searching, allowing you to seek OER resources for your teaching. Assistants will be on hand to help as needed. Bio: Kevin Seeber is Foundational Experiences Librarian at Auraria Library, focusing on education and outreach to first-year students. He sees access to textbook alternatives as a matter of equity and social justice, and is interested in increasing awareness of open pedagogies throughout higher education. As a member of the Auraria Library’s Researcher Support Services department, and Collection Development Program Lead, Ellen is interested in sharing evidence and materials on the successes and challenges related to OER, to help facilitate access to more affordable class materials, and foster flexibility in teaching. Abstract: Learn to go beyond just giving tests and quizzes to assess students. In this session, learn about six engaging, easy-to-use, free technologies that can be used to formatively assess students. Get practice interpreting multimodal formative assessments and learn to make decisions within the framework of the formative assessment cycle. Walk away with ready to use activities that can be given to students and shared with other educators in your organization. Bio: Becky Shiring is the Director of Professional Development & Continued Learning at Squirrels LLC. She’s an innovative educator passionate about bringing impactful PD to teachers and schools. Becky earned her MA in International Education from The George Washington University. She is the 2015 recipient of the AALPD “Rising Star Award”. Abstract: Now more than ever, instructors face the challenge of transferring their pedagogy from traditional, face-to-face presentation to online formats. As a result, questions about online pedagogy are beginning to turn from head-to-head comparisons of modalities to more thoughtful, considered explorations of “What works best, and where?” In this session, we’ll present our research that explored these questions: "Are student outcomes in different delivery formats linked to different sets of instructional elements?" and "Do students in different formats perceive some elements as more or less enjoyable, useful, or supportive of learning?" We will also discuss how we might transport best practices from traditional courses to hybrid and online environments. Bio: Vivian Shyu, Assistant Professor C/T at CU Denver, has been teaching across all delivery formats for five years. The work shared here has been presented and well-received at a national conference on the Scholarship of Teaching and Learning. Michael Zinser, co-presenter, heads up several digital pedagogy initiatives at CU Denver. Abstract: According to the headlines, we live in a post-factual world where information is fungible and truth is in the eye of the beholder. Even at the highest levels of government, "alternative facts" can substitute for real ones when it serves a political purpose, and factual errors are rarely acknowledged or corrected. This session will examine why facts and truth are being challenged today and how to get beyond merely fact-checking so that we can see past the spin in our information world. Bio: Elizabeth A. Skewes is an associate professor in Journalism and Media Studies at CU Boulder. Her research focuses on news practices, the media’s role in electoral politics, and politics in popular culture. She also is working on research involving media coverage of mass tragedies and the victims of those events. Abstract: Data has promised fabulous new insights to higher education and research over last ten years, with libraries actively supporting data-related research through new services and infrastructure. However, these new data-intensive methods come with some unintended ethical consequences. This session will consider how libraries are uniquely situated to respond such dilemmas. Participants will be divided into teams to consider short, real-life examples of published research (studies from Ashley Madison, OkCupid, Facebook) and share how each violated fundamental principles of ethics, research, or librarianship. We will then discuss how libraries and other research institutions can proactively shape data ethics in teaching and research. The session leader will support the conversation with critical data theory and practical examples from a university setting. Bio: Shea Swauger is currently Head of Researcher Support Services at Auraria Library. Formally a Data Management Librarian at Colorado State University and Data Curator for Dryad Data Repository, his research interests are in critical data studies and information ethics. Abstract: New to open online education? Curious about best practices for online courses? 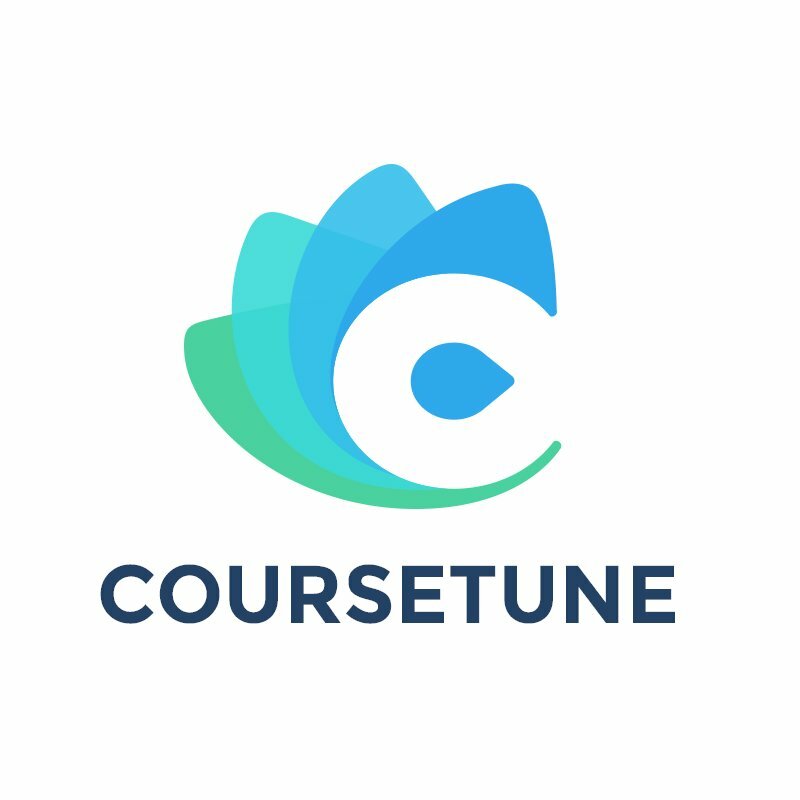 Have experience as an online course developer? A 'yes' to any of these questions means this session is for you. At Coursera, we're always thinking about how to collect and apply data to optimize learning experiences. This session will include demos and case studies of Coursera’s best pedagogical practices in action, and discussion on how to apply them to your own context. By the end of the session, you’ll have the tools and strategies to create high quality online content or iterate on existing content. Bio: Lauren Swersky is a Teaching and Learning Specialist at Coursera, where she focuses on applying expertise in online learning pedagogy to enhance content, platform, and services development. She has a M.S. from Vanderbilt University and an Ed.M. from Harvard Graduate School of Education. Abstract: QR codes have become ubiquitous in society, but have you incorporated them into your teaching? Learn about QR readers and QR code generators, and discover how to use QR codes to connect students to resources during lectures or discussions, test knowledge during teaching sessions, link participants with evaluations following presentations, connect audience members with your work at conferences, and help you network with colleagues. Create your own QR code and discuss how to include QR codes in your instruction setting. Information and resources discussed in this session will be provided to participants electronically via QR code. Bio: Michael Baca, BA, is an education coordinator in the Department of Pediatrics at the University of Colorado School of Medicine. He works closely with faculty to enhance curriculum for students, residents, and fellows. His interests include use of technology to connect learners to educational resources and development of online assessment tools. Meghan Treitz, MD, is a general pediatrician and medical educator in the Department of Pediatrics at the University of Colorado School of Medicine. She is passionate about technology in education, with ongoing projects using technology for teaching and learning. Jennifer Daines | Kimberly Swetz | Dr. Amy Kahn | Adaptive Learning: Not Just for Online Anymore! Abstract: The success of truly adaptive technologies in the online environment cannot be overstated - especially as it benefits non-traditional, often underrepresented student populations. At Coloroado Technical University (CTU), we utilize adaptive learning to positively impact learning in traditional, face-to-face classroom. We will describe our experiences with and present strategies for successful implementation in of CTU's award-winning adaptive learning technology to our physical campus students (with a specific focus on math). Discussion with participants on overcoming specific challenges is welcome. Bio: Jennifer Daines serves as Program Chair for General Education at Colorado Technical University. A former Air Force officer, she has nearly 20 years’ experience leading teams and managing programs. Her passion lies in serving veterans and other non-traditional students and in exploring ways to impact learning and drive completion. Kimberly Swetz began her teaching career in California splitting her time between Cal Poly Pomona and her high school alma mater. After a successful 7-year stint teaching in the U.S. Air Force Academy’s Math department, she is now Lead Faculty for Mathematics at Colorado Technical University. Dr. Amy Kahn serves as Vice President of Academic Operations for Colorado Technical University. With over 20 years of experience in academics and industry, Kahn has presented extensively throughout the United States and in England and Canada. Her textbook, The Ecology of Diversity, has been leveraged by hundreds of students. Abstract: Find out about Web Speech API and how this API can be used to design online speaking activities for language learning purposes. Using the API’s speech recognition function, the facilitator has developed a computerized speech assessment plugin for the popular Moodle course management system. This open-source plugin enables teachers to author online speaking assignments that can be automatically scored by the computer. Each speaking task can be customized by the teacher to include audio, text or image prompts. Student speech can be captured and saved to a Moodle course for human evaluation or it can be transcribed and scored using a built-in speech scoring algorithm. The facilitator will demonstrate how imitative, intensive, responsive, interactive, and extensive speaking tasks can be deployed in an online learning environment. Bio: Paul Daniels has been using technology in the classroom for the past 25 years in both the USA and Japan and actively leads international workshops on computer-assisted language learning. His current research involves speech recognition and how it can be used to engage learners in speech practice. Abstract: Artificial intelligence is becoming more and more intertwined in our present and implied in our future. What are the major strands of AI and where will they take us? Together we will examine where AI has leverage and the limitations on technology (thanks to both physics/chemistry/structural factors and human suspicion). Don't like surprises? Find out what major changes are likely on the horizon in the next 5-25 years. Bio: Rob is a product of Central European Communism; various churches; Houston, Texas; Canada; Berkeley, California; Caltech; Harvard Business School. He has had careers in marketing, university teaching, advising CEO’s on commercializing technologies, and has had many lessons in street smarts. He researches trends and writes about them. A husband, father, investor, advisor, superforecaster - he is still very humble. Abstract: By putting technology in students hands, teaching them the tools and theory to work with it, and providing some guidance, students can self learn and exceed typical classroom expectations. Participants will interact with the eScooter Platform, the CU-no Platform, the CU step counter, the Technical Portfolio Project Deliverable, and Embedded Case Study assignments and hear about other innovative projects and unique teaching methods that can get students motivated to learn. Abstract: Additive manufacturing, or 3D printing, technologies are swiftly becoming a part of everyday life. Come discover how 3D printing is an increasingly used tool in the Active Learning Classroom and Lab at Colorado State University. CSU Instructional Designers team with the Idea2Product 3D printing lab in the College of Engineering to produce manipulatives and hands on experiences within undergraduate courses across campus. Bio: Chris Geanious is currently an Instructional Designer at The Institute for Learning and Teaching at Colorado State University. He has built two 3D printers for academic use in the last two years. Chris has been involved in working closely with faculty on course design and redesign for the past 20 years. Thomas Harrop| Yes, You Do Have a Textbook in You! Abstract: Explore the fundamentals of creating and producing your own textbook for a course you are teaching or for general distribution. Get started on an outline of your book and toward publication and printing. Bio: Thomas Harrop has taught for 17 years at the college level and has published more than 10 books for himself and others. Before teaching Harrop was a full-time photographer for NASA and served as editorial director or managing editor for three national magazines. Abstract: In a flipped class, students watch video lectures to gain content knowledge at their own pace prior to class and complete embedded, interactive video quizzes and assignments. In-class time is then devoted to engaging students in active learning activities where they can interactively apply, create, evaluate, and analyze concepts every week. Students then complete assignments and metacognitive activities as homework to review their understanding and reflect on their learning. With all of these activities, how does one make a flipped class accessible without undue effort on the instructor? Join us for a rich discussion of techniques and technologies that maintains the spirit of active learning while meeting the needs of diverse learners. Bio: Dr. Cheryl Pinzone is a Universal Design Fellow at CU Boulder, and has participated in groups on active-learning activity design, reflective metacognition pedagogy strategies, and evaluating critical thinking. She has utilized a number of technologies and practices to measure and improve student learning, and increase accessibility for diverse learners. Abstract: Defining a personal vision and articulating a mission statement can be an effective tool for the professional development of educators. Develop your vision and mission as an educator as you clarify what you do and what you hope to achieve. Use online tools to create an infographic to illustrate your vision/mission. Studies estimating that 65% of learners are visual learners makes this technology is particularly appealing. We will also brainstorm ways to incorporate infographics into your teaching. Bio: Meghan Treitz, MD, is a general pediatrician and medical educator in the Department of Pediatrics at the University of Colorado School of Medicine. She is interested in technology in education and reflective practices, with ongoing projects in electronic educational modules and infographics. Sheilah Jiménez, BS, C-TAGME, is the Associate Director for the Pediatric Resident Advocacy Program and Pediatric Residency Program Coordinator. She teaches “Personal Vision and Mission Infographics” to pediatric residents and is well-versed in technologies for creating infographics. Janice Hanson, PhD, EdS, is the Director of Educational Research and Development for the Department of Pediatrics at the University of Colorado School of Medicine. She brings broad expertise in curriculum development and evaluation to the implementation of technology in medical education. Abstract: Read&Write is a literacy support tool that works for students across K-20. Come see how to access this free support along with EquatIO (making Math and Science digital!) and how Read&Write can empower your students to personalize their learning. This session will demonstrate the tools of the program, best practices for use in the classroom, and strategies for helping students. PARCC alignment for accommodations will also be included. Also see how EquatIO is making Math/Science digital as a GSuite support. Attendees will receive access to free software and learn how to get freemium and premium versions for students. Bio: Kay Tepera has served at the Arkansas Department of Education in the Research and Technology Division and at the district level as technology coordinator. She currently provides software solutions to school districts and supports districts all across Colorado and 4 other states. Kay is passionate about supporting student learning through technology solutions. She works with TextHelp on providing solutions to individuals of all ages for reading, writing, research, and study skills. Abstract: What tools and mechanisms do you use to build a relationship with your online students? OfficeMix can help you more closely simulate your classroom persona by engaging students throug slide and screen recordings and embedded quizzes. Creating a welcome video, assignment descriptions, and a course tour cultivate your presence in addition to optimizing lecture design. Video is easily converted to an .mp4 file for students to watch anytime, anywhere. Come and see how easy it is for your students to meet your virtual self into their cyberspace. Bio: Janice Thorpe teaches multiple online courses and is one of nine co-PIs working to launch a fully online, inter-campus Interdisciplinary studies degree. She often mentors new online instructors for the Faculty Resources Center at UCCS and her research involves instructor presence and learning outcome differences in online courses. Abstract: Twenty years ago, a million dollar production facility was need to create what you can do today with a smartphone or tablet. Technological potential alone, however, does not create instructional content. This performance-focused workshop will take you from instructional content concept to finished product, addressing use of the camera and microphone, on smartphones, tablets, and other relatively affordable technologies. The presenter's friend comedic actor Molly Shannon has agreed to be interviewed for this session on improvisational acting, and voice actor and CU Boulder grad Townsend Coleman (voice of Michelangelo and The Tick, among many others) will also participate if scheduling permits. Both appearances depend on availability. Bio: Dr. Dan Tinianow has been teaching communication and media classes at the college level for nearly two decades and has worked in the entertainment industry. He is currently a professor and Communication program chair at Ashford University at its Denver campus. He also did extensive acting earlier in life. Learners will discuss misconceptions about how we learn. Learners will be able to recall learning strategies. Abstract: While aligning teaching strategies with effective learning goals may seem like an art, there are straightforward methods that can be utilized to achieve measurable outcomes. Because not everyone learns the same way, it is vital to utilize a wide range of learning strategies and give examples of how they can be used in practice. It is also important to dispel misconceptions about how we learn. Join us in translating what the cognitive sciences have discovered about the human cognitive architecture and how we learn into practice. Bio: Tim Van Der Zee is in a doctorate program for Teacher Education at Leiden University in the Netherlands. As a PhD candidate Tim studies how teachers of open online education can give high quality instruction. Learners will be able to recall several principles for effective video design. Learners will learn about available tools for video production. ​​Abstract: Videos are becoming increasingly popular in education, both in online and traditional courses. This makes it important to understand how people learn from videos, and which factors can hinder learning. In this session we will focus on instructional design factors of educational videos and learn about how to design effective videos. Session leaders will provide guidance on how to best progress into a more advanced level of video production. 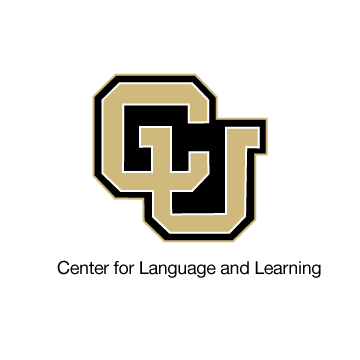 Historically the Center for Language and Learning (CLL) at CU Boulder has successfully used multi-sensory teaching methods, including gestures with a purpose and reduced visual distractions. The CLL most recently added video learning to its hybrid model and is exploring visual strategies for the most effective subtitling methods. Naomi Wahls is a Teaching and Learning with Technology Consultant. She teaches workshops and creates digital resources for language educators to learn how to use various technologies. Her research has been especially focused on Virtual International Exchanges and Professional Learning with Technology. Abstract: Ever dreamed of studying abroad but found the time or expenses to be out of reach? Virtual International Exchanges (VIE) are a fantastic solution to this problem! VIEs use of such technologies as: social media, Canvas, Edmodo, Moodle, Skype and Zoom to promote intercultural competency between CU and international universities (Mexico, Peru, and Japan). VIEs are gaining popularity and proving successful at CU Boulder, with students and international partners requesting the creation of new courses specific to VIE and physical study abroad/exchange programs. This session will explore lessons learned and best practices for VIEs with its instructors. We will discuss how to scale a small class project to a new class with international university partnerships. If you’re looking to find a partner on any topic area, we will have a networking break to chat about possibilities. Virtual co-session leaders include Vicky Ariza Pinzón, English Instructor and PhD candidate at Benemérita Universidad Autónoma de Puebla (BUAP); Mark Brierley, English instructor at Shinshu University; Dr. Yumiko Matsunaga, Japanese Instructor at CU Boulder; and Dr. Alejandro Mendez-Bentacor, Spanish instructor at CU Boulder. Bio: Naomi Wahls is a Global Online Education Scientist and has been performing studies on virtual international exchanges since 2009. Nancy Bocanegra is Spanish teacher in Continuing Education at CU Boulder. Madeleine Burns Vidaurrázaga is the National Director of Centro de Formación en Turismo (CENFOTUR) in Lima, Peru. Dr. Alejandro Mendez-Betancor is a recent PhD graduate in the Spanish department at CU Boulder. Alicia Tabler is a Spanish coordinator at CU Boulder. Abstract: Online teaching can be an isolating experience for new teachers. In the absence of direct student feedback, they can struggle with communication skills, maintaining rigor, and developing appropriate feedback and course routines. Having an engaged mentor can facilitate the transition from F2F classes to the online environment. Come and discuss the various strategies for developing mentoring relationships and improving course design and implementation. Abstract: Employers expect students to be career ready upon graduation. Interdisciplinary projects are a way for institutions to help students meet this demand. Interdisciplinary projects not gives students exposure to real world challenges, they also break down institutional barriers between disciplinary departments. Challenges to such projects include getting buy-in from disciplinary departmental leaders and instructors and having proper oversight for project success. Together we will consider the development of interdisciplinary projects and how to overcome departmental and institutional barriers. Bio: Trish Elley, Ph.D. has been in higher education for over 14 years. Currently, she is a Business Lead Instructor for Colorado Technical University. In this position, she supports and develops business faculty. She also focuses her time on campus projects and events to increase career readiness for CTU students. Fred Schneider has a B.A. in Business Administration and a M.S. in IT. He worked in the Telecom industry with MCI, XO Communications, and Verizon in IT, Service Delivery, Strategy Office, and Product Marketing. He teaches CS and IT at CTU and initiated the concept of collaborative classes across multiple disciplines. Abstract: Together we will look at the correlation between discussion participation and overall performance and success in their online courses. Does it matter if students simply do the minimum (post and run), or will increasing their discussion participation result in a better grade? Best practices in online discussions will also be reviewed and discussed. Bio: Therese Fukuda has served Chair of the Physical Science Department at CCCOnline, overseeing Astronomy, Chemistry, Physics and Geology courses and instructors, for 4.5 years. She also instructs Astronomy courses online. Timothy Kerber | You Can't Teach That Online! Abstract: Challenge your assumptions about what skills, disciplines, and professions can be taught using asynchronous online course deployment. Examine these assumptions through the lens of two program development challenges: digital photography and the helping professions. See the opportunity for emerging technologies to close skills gaps in students and target audiences by creating unique and completely virtual experiences. Bio: Timothy Kerber is an Assistant Director of Learning Resources at Southern New Hampshire University's College of Online and Continuing Education. His teams are responsible for recommending learning resources for program and course developments while building and maintaining vendor relationships. He is a graduate of Grinnell College and the University of Birmingham (UK). Abstract: To a certain degree everyone probably struggles to strike a balance between work, family, school, you know, life! This session will share tips and strategies for both you and your students to achieving the balance in this fast paced digital world. Bio: Nicole Marcisz has been at Regis University since 2008, serving faculty as an instructional designer. Her passion and focus is faculty development, leveraging technology for student learning and topics on critical thinking. She enjoys collaborating and working with Regis faculty designing innovative and engaging activities for student. Abstract: How does a program ensure high-quality candidate field supervision (in education, nursing, counseling, etc.) in an entirely online format? How does a supervisor in Colorado, for example, engage in effective feedback for a field student in Maine? If you implement a virtual supervision model, this discussion is for you. Join the facilitator for a well-informed discussion and the opportunity to share experiences, and explore various virtual supervision models, implementations, and results. Bio: Jeff Renfrow has been in K-12 education for nearly 25 years as a teacher and principal in public (charter and district), private, online and international schools. Since 2015 he has been the Director of Undergraduate Education Programs at Colorado Christian University where he has been leading the development of several fully online teaching degree/licensure programs that are launching nationwide this fall. Eric Thompson | Video Games for Mindfulness? Abstract: With 'mindfulness' becoming a buzz word, it is important to ask what it is really trying to develop. What are the best practices for helping cultivate mindfulness? Video games just might be the answer. Join the exploration of various definitions and assumptions we have about mindfulness, followed by some suggested methods, reflection, and discussion for implementing and developing mindfulness in face-to-face and online courses. Bio: Eric Thompson, MA and MS, has been studying Buddhism and mindfulness practices for almost 20 years, earning a masters degree in Buddhist Studies in 2001 from Naropa University. After teaching high school math for 10 years, Eric started working with K-12 educators with bringing mindfulness practices into the classroom. He continues to help instruct meditation for Naropa through the MACPBP program while also teaching online courses. One of Eric's passions is exploring how to effectively bring meditation and mindfulness practices into all classrooms as well as continuing to explore these in his personal life. Abstract: Small face-to-face classes can be rich learning environments where students are given advanced skills, strategies, and methods to function as professionals. If a student has a serious medical condition, they may need to miss classes and potentially un-enroll and wait for several semesters for the class to be offered again. This session describes a pilot that used Kubis (remote-controlled robotic arms holding a tablet that allows a videoconference) in smaller classes to help sick or injured students attend class. We will describe examples where a Kubi was used by students, present results from surveys with students and faculty members, share our recommended best practices for teaching with Kubis, and explore technology support issues associated with Kubis. We will solicit discussion and debate about our findings. Bio: Mark Werner works at the intersection of education and technology. He has been a technical editor, assistant professor, technology coordinator, and associate director. Most recently he created CU Boulder’s Academic Technology Design Team, which improves learning by approaching wicked learning problems with emerging technologies and innovative teaching methods. Abstract: In our daily lives, technology can distract us, fragment our attention, and lead to feelings of isolation. At the same time, technology-supported education has allowed students from around the world to create community and engage in vibrant learning through virtual classrooms. We propose that mindfulness techniques can serve to counterbalance the negative aspects of technologies by helping to be present to our fragmented flow of thoughts, and when practiced in a group setting, to integrate and bond us as a community. We will explore the intersection of mindfulness practices and technology and teaching, within both in-person and online contexts. The session includes guided meditation, discussion and a short presentation on the rich potential of the online platform to deliver a true contemplative learning experience. Bio: Mark Werner’s 28-year career has spanned the fields of communication, education, and technology. His Academic Technology Design Team at CU Boulder addresses wicked teaching and learning problems through design approaches. He has pursued a mindfulness practice for fifteen years. He is interested in the intersections of mindfulness, teaching, and technologies. Charlotte Rotterdam is the Director of Naropa University’s Center for the Advancement of Contemplative Education (CACE). An Instructor at Naropa, she has taught in the Religious Studies department and continues to teach the Contemplative Learning Seminar in the Core College. Charlotte received her Masters in Theological Studies from Harvard Divinity School. Abstract: iClicker provides a simple way to leverage in class polling as an active learning pedagogy, to gather student feedback and gauge conceptual understanding in real time. This short workshop will focus on the fundamental technical aspects of setting up and running an iClicker polling session. We will cover Instructor and Student hardware and software, course set up, question types, running polls, and viewing, grading and linking results to the campus LMS. Bio: Courtney Wolstoncroft has spent 12 years in the Ed Tech industry. In her role at iClicker she works to understand the key challenges educators face in facilitating active learning in the classroom and to then provide a platform where instructors can connect to share best practices. Jennifer Jaenicke- Senior Technology Specialist iClicker, has 30 years experience in serving higher education faculty helping to accomplish classroom goals of engagement, successful outcomes and completion of courses. Abstract: We now have technology to deliver a traditional classroom lecture using web conference tools. However, there remains a challenge in making the web conference equivalent to the instructional delivery achievable in the traditional classroom. Linking curriculum development, course technology design, and actual course delivery remain a challenge to faculty and learners. This session will provide an in-depth look at the experience of one faculty team's experience in adopting the new wave of online instructional delivery, including the challenges and opportunities that came up in such a course, the ways that course delivery had to be modified, and strategies to address the challenges that will arise. Bio: Kevin D. Zeiler, JD, is an Associate Professor in the Health Care Management Program at the Metropolitan State University of Denver, Colorado. Professor Zeiler has 15-plus years of experience working in the health care field, as a paramedic, supervisor and educator. His professional area of interest is in health policy and law. Professor Zeiler holds a Juris Doctor degree from the University of Denver, an MBA from Regis University and a BS in Health Care Management from the Metropolitan State University of Denver. Jeff Helton is an Associate Professor of Health Care Management at MSU Denver, focusing his teaching on health analytics, health economics, and health care finance. His research follows a similar track, looking at operational efficiency in hospitals and in pre-hospital care. He holds a Master of Sciene in Health Administration from the University of Alabama at Birmingham and a PhD in Health Care Management from the University of Texas. Amy Dore, DHA, MHS is an Associate Professor teaching in the undergraduate Health Care Management program at MSU Denver. With a teaching philosophy focusing on student-centered learning, she has taught courses in health disparities, human resources, practice management, and research, in classroom, online and hybrid settings. A graduate of MSU Denver (Health Care Management), she received a Master of Health Systems from the University of Denver and a Doctor of Health Administration from Central Michigan University. Her research interests include aging services, senior and caregiver health, rural health, health disparities and diversity issues, and student competency assessment and outcomes. She has authored and co-authored several book chapters, case studies, and regularly presents on her many teaching and research endeavors. Amy’s newest endeavor is as the Program Director for MSU Denver’s new Master of Health Administration (MHA) program. In the last 5 years, there has been a rise in what we might call “large-scale digital learning experiments.” These take the form of centralized courses, vendor-created courseware, online homework systems, MOOCs, and free-range learning platforms. If we mine the research, successes, and failures coming out of these experiments, what can we discover about designing better digital learning experiences and technology for learning? Dr. Andersen has spent 14 years teaching at the college level, 16 years writing curriculum, and 6 years developing digital products for learning. She built iPad games to teach algebra, launched the Canvas Network MOOC platform, built adaptive learning platforms used by McGraw Hill, and worked as the Director of Learning Design for WGU (a fully-online CBE institution). Maria is a professor, a software developer, a consultant, a writer, a speaker, and a learning futurist. She holds degrees in Math, Chemistry, Biology, Business Administration, and Higher Education Leadership.